Henry has held multiple technology executive roles at Ford and Kia over the course of 23 years. 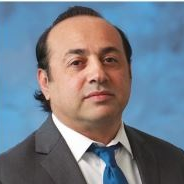 He is currently Senior Vice President, and global CTO of Flex Automotive. Prior to Flex, Henry was Managing Director Kia Connected Car and Mobility division responsible for leading the brand through connectivity, autonomous, mobility intoduction and efforts. He joined Kia from Ford, where he led multiple Infotainment projects including launch of multimedia, infotainment products including Ford SYNC. He served on the Board of Cybersecurity AUTO ISAC and currently is on the Executive committee for SAE Connect2Car. Henry is a noted speaker and industry ambassador on various topics affecting the auto industry. He earned an Executive MBA from UCI and a BS Electrical Engineering from LTU.